I made the mistake of putting off reading this book because my children are all grown and on their own. What could possibly hold any interest for me in a book about raising healthy children? If I'm going to take the time to read an entire book, I like it to be applicable and relevant. Let's repeat the cliché- "Never judge a book by its cover!" 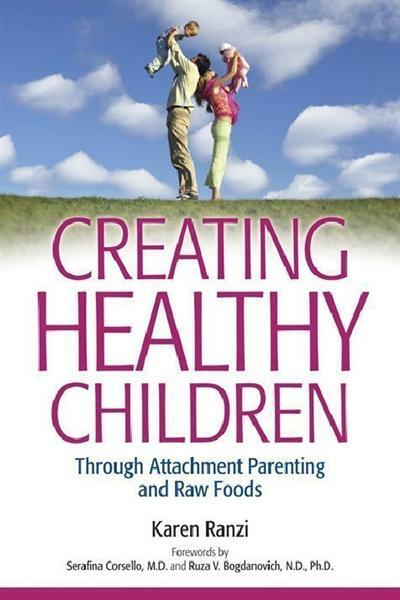 Karen Ranzi's book marries the two most important foundations for creating healthy children: the raw food diet and attachment parenting, a term originally used by pediatrician William Sears in describing a more natural and intuitive parenting philosophy than most people in this day and age practice. Attachment parenting sheds light on the truths about raising and truly 'nurturing' children from the heart and not the head. I loved reading about the mothers, and fathers returning to the practice of following their parenting instincts and each child’s individual needs for the mutual benefit of all, and not following whatever current popular parenting trend comes along. From the first few pages, I was thoroughly engrossed. Karen's writing style is very easy to read, yet highly informative. This book was seven years in the making and it shows. The research is impeccable and covers the entire spectrum of parenting healthy children from pre-conception, to pregnancy, breastfeeding and beyond. It also includes information on vaccinations, circumcision, exercise, education of children, obtaining sufficient nutrition from plant foods at every stage of a child's life, transitioning older kids to the raw food diet, meeting emotional needs, and would you believe there's more? You can see that no stone is left unturned and it seems every aspect of a child's life is examined in light of the raw vegan lifestyle, not merely diet. By the time I was done reading the hefty question and answer section from real people with real life questions, I realized how valuable this book will be. It will help ease the minds of parents and soon-to-bes, showing them that having healthy, natural children and families is entirely possible and within their grasp if they are willing to follow their hearts and dedicate themselves to this most noble of tasks. 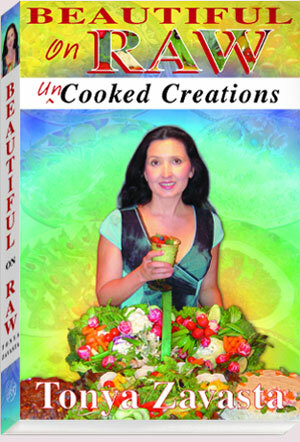 There is such a lovely balance of first hand experience and nutritional research related between the covers of this book that no one, parent or not, could read it without becoming thoroughly informed about avoiding the most common pitfalls in the raw food diet. By the time I finished chapter two, I felt as if I had already taken away an entire book worth of valuable and motivating information and had hardly scratched the surface. Nearly every page is peppered with research, resources, personal experiences, websites, quotes from experts, and even recipes. The extensive chapter on the controversial B12 issue is, in my opinion, worth the price of the book alone. Reading this book rekindles my hope and yes, that utopian vision, for a new generation of healthy, naturally birthed and raised children. You might be tempted, as I was, to gather your tribe and head off to greener pastures in Costa Rica! Having said all that, I must admit there is one thing I didn't like about Karen's book: she wrote it after my children were already grown! How I wish I had this information 20 years ago. I had the desire, the inner vision, but not the information. We parents are famous for saying "I want my kids to have what I never did."? Thanks to Karen's dedicated work and Tonya's treasure hunting, I feel like I now have a gold nugget of my own to pass along to the next generation: their very own copy of Creating Healthy Children.